Roses are red, violets are blue… Why do we check heart rate variability for you? 12 Feb Roses are red, violets are blue… Why do we check heart rate variability for you? There’s never a bad time to start taking better care of your cardiovascular health. But if I could suggest one especially apt time, it would have to be the date in our diaries that looms ominously ahead of us now: Valentine’s Day. Whether you’re a sucker for romantic gestures and the whispering of sweet nothings in a lover’s ear, or whether you’re a heartless cynic who sees it as nothing more than a tax imposed by the greetings cards industry (no prizes for guessing which camp I’m in); there are a number of objectively good reasons to think that the big 14-2 is a particularly prescient time to think about your heart – in a literal sense. We’re used to considering our cardiovascular health in terms of blood pressure, cholesterol levels and even heart rate. But one measure that we’re less used to hearing about is Heart Rate Variability. How is this different from straight-forward heart rate? Heart rate, or pulse, is a simple measure of the number of beats over a given period, typically a minute, to give us a general sense of how hard the heart is having to work. Broadly speaking, a high resting heart rate might indicate that the heart is weaker, and therefore needs to beat faster to supply the body with enough blood. Meanwhile, Heart Rate Variability measures your heart beat’s ability to change – from minute to minute and from second to second. Your heart rate should change rapidly depending on your activity or stimulus. For example – we’ve all at some point experienced the butterflies-in-the-stomach, sweaty-palmed, dry-mouthed nervousness that accompanies many high-pressure situations such as an eagerly anticipated date. This is our Sympathetic Nervous System (SNS) kicking into action. And while these reactions might seem like more of a hindrance than a help in the arena of seduction, if we swap the object of your affections in this scenario for a hungry tiger, it’s easy to understand the importance of a physiological response that makes us more alert and on-edge. It’s the fight-or-flight response. Conversely, when there’s no immediate stress to deal with, we need a response that helps us calm down and acts to slow our heart rates – otherwise it’s like sitting at a red light with our foot on the accelerator. So when we’re in a more relaxing situation, it’s the parasympathetic nervous system (PNS) that we need to take over, telling us to chill out. The SNS and PNS control all manner of different bodily functions as well as heart rate, such as constriction and dilation of the pupil, sweating, digestion, urination – in fact many bodily functions that we are not even aware of. In practice, we need both parts to work together all the time, to fine-tune operations. If the nervous system is working effectively in this way, then Heart Rate Variability is likely to be high. It can speed up and slow down quickly and efficiently, in response to whatever situation you’re in. And it turns out that this is a lot more important than it’s previously been given credit for. Recent studies have found that if Heart Rate Variability is low, this is linked to an increased risk of death from numerous other causes, including coronary heart disease and cancer. In particular, a 2013 study found that a low HRV could leave us as much as 45% more likely to suffer a heart attack. Meanwhile, a high Heart Rate Variability will help you deal with stress better, and is of interest to athletes looking to achieve their best levels of performance. So what can be done to improve a low HRV? As always, eating well and exercising regularly is essential. It’s equally important to find ways of managing stress – this can include meditation. And of course – because it’s all about control by the nervous system – getting regular adjustments and taking care of your posture and spinal health is key. At N8 Health, we routinely measure HRV at every consultation, and monitor it on an on-going basis. The technology we use produces a detailed analysis of your HRV, and the balance between those two parts of the autonomic nervous system. We often find that when people are under stress, the Sympathetic (fight-or-flight) part of their Nervous System is overactive, causing low Heart Rate Variability. After a number of adjustments and efforts to reduce that stress, we re-do the scan to assess how HRV is responding to the adjustments and how well our body is adapting. Whilst we cannot always remove stressful situations, regular adjustments help the body to adapt and better cope with stress. It’s all part of our aim to ensure that, not only are we helping all our practice members stay out of pain, but we’re helping promote an all round healthy lifestyle. 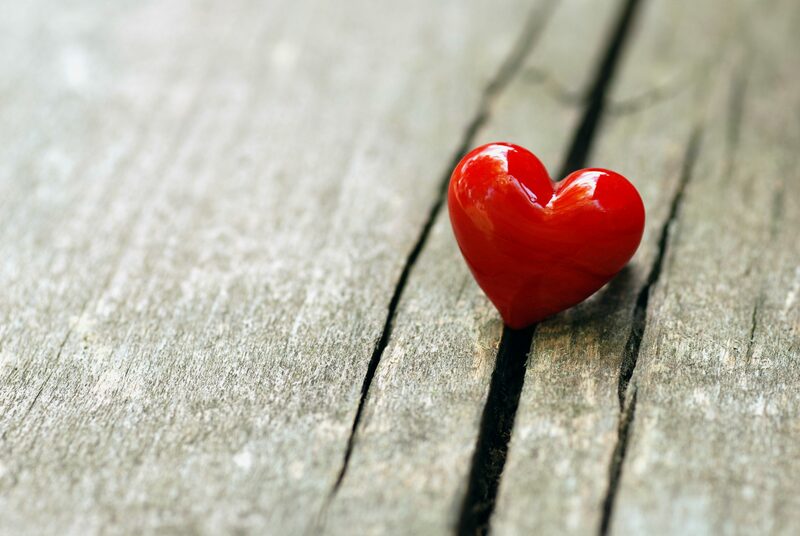 So although we might not be able to help you with all matters of the heart this Valentine’s Day, we can at least help set you on the right track towards a healthier heart. We would like to offer a free consultation where we routinely check heart rate variability to all loved ones of our existing practice members. Quote the code VAL18 when arranging the consultation. Offer is valid until 28th February. Giles PD, Hensel KL, Pacchia CF, Smith ML. Suboccipital decompression enhances heart rate variability indices of cardiac control in healthy subjects. J Altern Complement Med N Y N. 2013;19:92–6. Zhang J, Dean D, Nosco D, Strathopulos D, Floros M. Effect of chiropractic care on heart rate variability and pain in a multisite clinical study. J Manip Physiol Ther. 2006;29:267–74.